Welcome to the Ryobi Tools Father’s Day giveaway sponsored by Ryobi Tools and your hostess Measuring Flower. 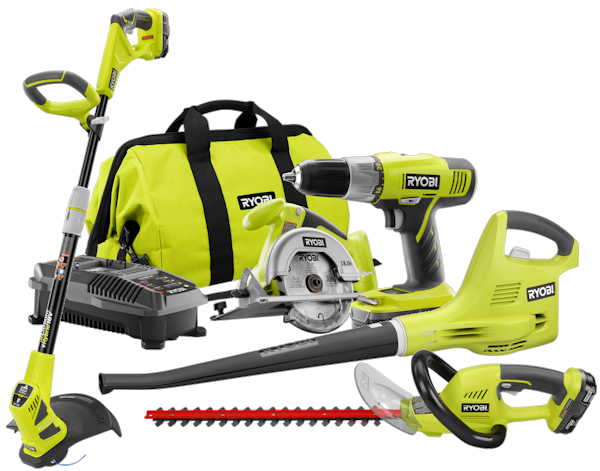 Ryobi Tools giving away an AMAZING prize pack of tools just in time for Father’s Day! Ryobi Tools has a variety of pro-featured power tools for affordable prices. Ryobi’s has the perfect tools for homeowners, woodworkers, hoobyists, craftspeople, and contractors and all of their tools are backed by a 30-day satisfactions guarantee and come with a 3-year limited warranty. Ryobi Tools are sold exclusively through Home Depot. This giveaway is being run using a handy-dandy Rafflecopter form. To use the form, log in using your Facebook account (make sure your primary Facebook email is one I can reach you with if you win) or your name and email. You can read more information about logging into the Rafflecopter form HERE. Your information will be kept completely confidential and safe. Each entry must be accomplished exactly as it is stated, including providing anything in the “Extra Info” field, for it to count. If there is a “leave a comment” entry type, be sure the name you type in the comment’s name field is EXACTLY the same as the name you use in the form (this is so your comment can be verified). Make sure to leave a VALID email address in the Rafflecopter’s email field so you can be contacted should you win (or ensure your Facebook account’s primary email address is one you can be reached by). Disclaimer: We are not responsible for prize fulfillment. I like the 40V 13″ Cordless String Trimmer/Edger. This would be very helpful to us. I would like to get the 40V 13″ Cordless String Trimmer / Edger. I learned All Ryobi Outdoor Products purchased on or after JANUARY 1, 2009 are covered by a 3-year warranty. I like that they have a Service Center Locator, sometimes you have to have your stuff repaired and it’s a hassle to try to find where to take or send things. I learned that some of Ryobi products are powered by ion lithium batteries. I like the 3100 PSI / 2.5 GPM Gas Pressure Washer. Thanks. LOVE the 18V ONE+™ 4″ WET/DRY TILE SAW. I could use all of them but especially the 40v 13″ Cordless String Trimmer/Edger! Thanks so much for another wonderful givaway! I like the Paint Station!